Some of the most common repairs include broken or cracked screens, home button replacements, water damage, speaker problems, headphone-jack repairs, USB and charge port repairs and power buttons and battery issues. 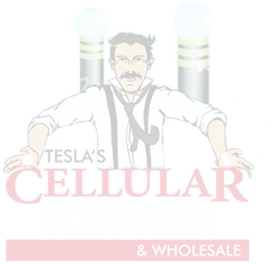 If it you bounced it off the pavement, stepped on it, ran it over or dropped it in a puddle, Tesla Cellular Repair & Wholesale can help! Please explain the damage or issue. Do you have a second device?